Can I run the air intake pipe from the well ventilated attic when I run the exhaust out the roof? 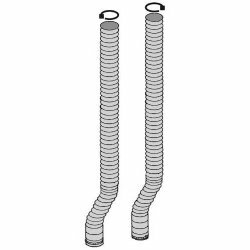 These liner kits are designed for use with fireplace inserts that have been installed into an existing masonry or factory built fireplace. Both the intake and exhaust liners must run the entire length of the chimney and may not terminate at a lower point, unfortunately.